Watson Chapel School District Child Nutrition Department knows that good nutrition and learning go hand in hand! Watson Chapel has implemented Offer Vs. Serve at LL Owen, Coleman and the Junior and Senior High. Students will be offered items from 3 food groups (grain, milk and fruit) at breakfast and 5 food groups (grains, meat, vegetable, fruit and milk) for lunch. For breakfast, students must select 1/2 cup fruit or juice and at least 2 other items. 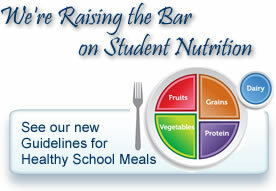 For lunch, students must select 1/2 cup fruit or vegetable and at least 2 other food groups.